Following an increase in demand, millers at Mill Green are now milling chapatti flour using local grain sourced from a local grower, meaning the journey from field to plate is short and good for the environment. 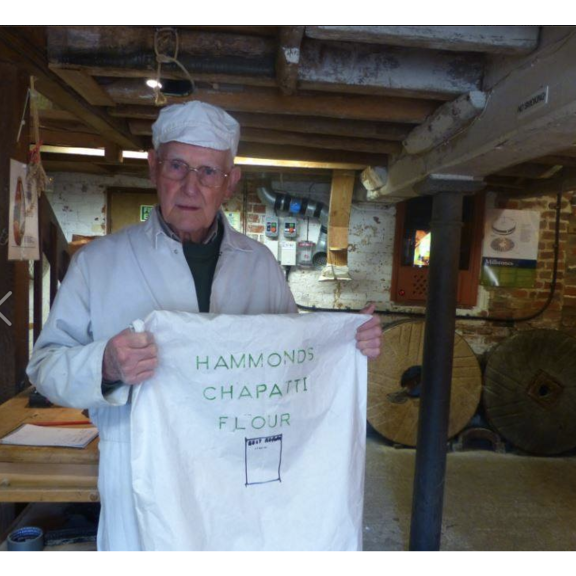 Councillor Tony Kingsbury, Executive Member for Policy and Culture, said: “After having requests from numerous visitors to the museum it’s great that we are now able to offer chapatti flour, which I’m sure will be very popular. Miller Richard Deaconsaid: “The difference between our organic stoneground wholemeal flour and our organic wholemeal chapatti flour is that the grain is ground extra finely, this is achieved by lowering the top millstone more closely to the bottom millstone which breaks up the bran into finer particles. Freshly milled stoneground wholemeal flour can be ordered to your own personal specification and bagged weights of 1.5kg, 3kg, 6kg or 12kg are available at Mill Green Mill and Museum. A wholesale size of 16kg is also available.